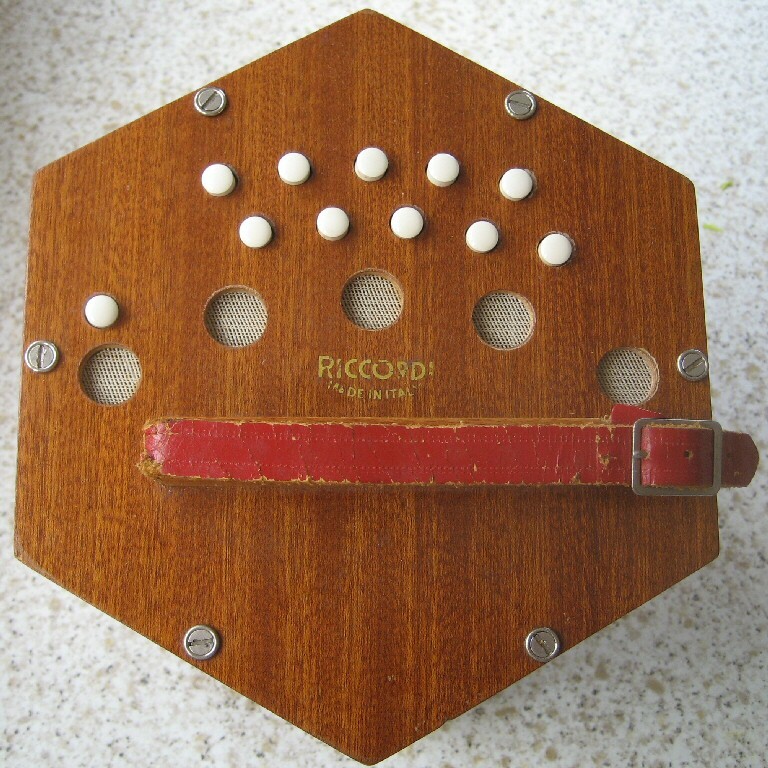 My Riccordi anglo concertina is 8-sided and wooden, with 20 plastic keys. The bellows are red. One one end can be read "Riccordi, Made in Italy". It is an Anglo concertina, which means that it produces a different note when a key is pressed, depending on whether the bellows are going in or out, like a mouth organ/harmonica does. 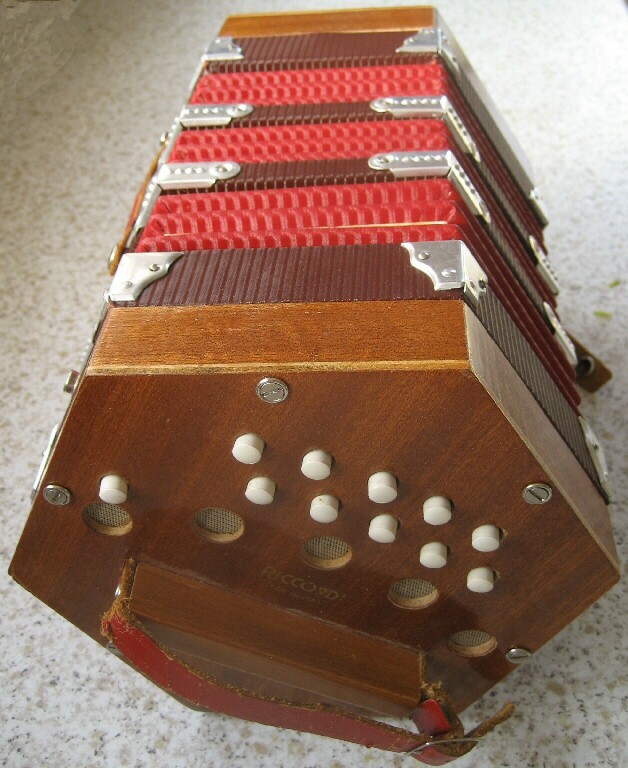 The other main type of concertina is the English, which gives the same notes in both bellows direction. It is in fair condition, but was always a cheap and cheerful model. This instrument was given to me in California by a fellow hiker in the San Bernardino mountains. It had belonged to her late father and had not been played for many years. All the rubber tubing acting as springs to return the keys had rotted. I renovated it, using silicone rubber fuel pipe for model airplanes!